ชัยรัตน์ เอี่ยมกุลวัฒน์. “ภาระภาษีและความเหลื่อมล้าของระบบภาษีภาครัฐบาลไทย.” วารสารเศรษฐศาสตร์ประยุกต์ 23, 2 (ธันวาคม 2558): 25-53. Chairat Aemkulwat and Chalaiporn Amonvatana. “Thailand: Moving towards Status Quo in Growth and Inequality.” in Shigeru Thomas Otsubo, ed., Globalization and Development Volume II: Country Experiences. 114-145. New York : Routledge, 2016. Chairat Aemkulwat. “Labor Supply of Married Couples in the Formal and Informal Sectors in Thailand.” Southeast Asian Journal of Economics 2, 2 (December 2014): 77-102. Chairat Aemkulwat. 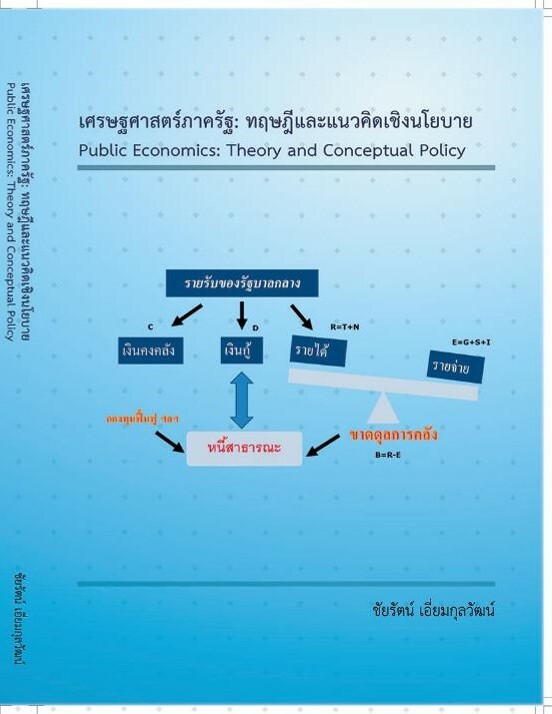 “Marginal Effective Tax Rates in Thailand.” Chulalongkorn Journal of Economics 20, 3 (December 2008): 155-182.